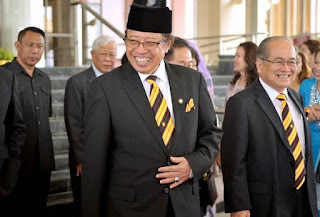 Sarawak Chief Minister Abang Johari Openg has slammed Putrajaya, describing them as “buruk siku” (to take back what was previously given), after they withdrew the construction of three bridges in Sarawak. He said the federal government’s decision to withdraw the projects due to financial constraints is ironic as they could afford to produce a flying car. The bridges — at Igan, Rambungan and Batang Lupar — were promised by the previous Barisan Nasional administration. 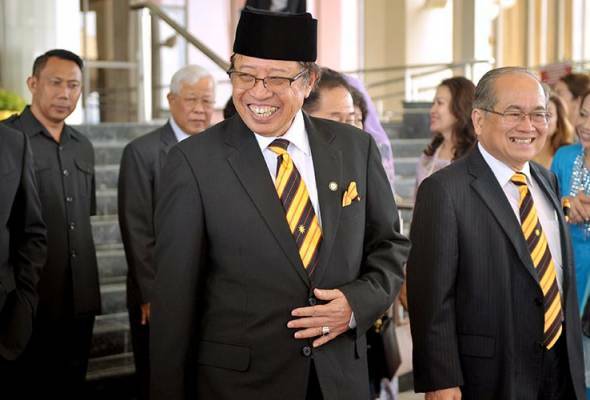 Abang Johari gave an assurance that the Sarawak government will proceed with these projects. “We will not be ‘buruk siku’ like them. We Sarawakians will deliver what we have promised to the people,” he said at the closing ceremony of the Seminar on Road Technology and Technical Manpower in Sarawak here today. 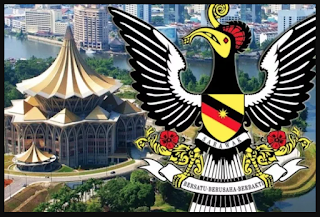 Besides the three bridges, he said the building of the Lawas airport was also suspended by the federal government and the state government would also be taking over the project. According to the chief minister, the additional income garnered from the 5% sales tax on petroleum products had been helpful in dealing with these projects, along with the building of two other airports at Sadok, Spaoh, near Betong, and Bukit Mabong in Kapit.